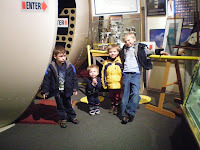 This week I took my boys and one of their buddies (John Patrick) to Tommy Bartlett's Space Exploratory. I called the school and picked up David at 10:30 on a normal Tuesday. I gave no reason, I just told them: " have my son ready in 5 minutes". 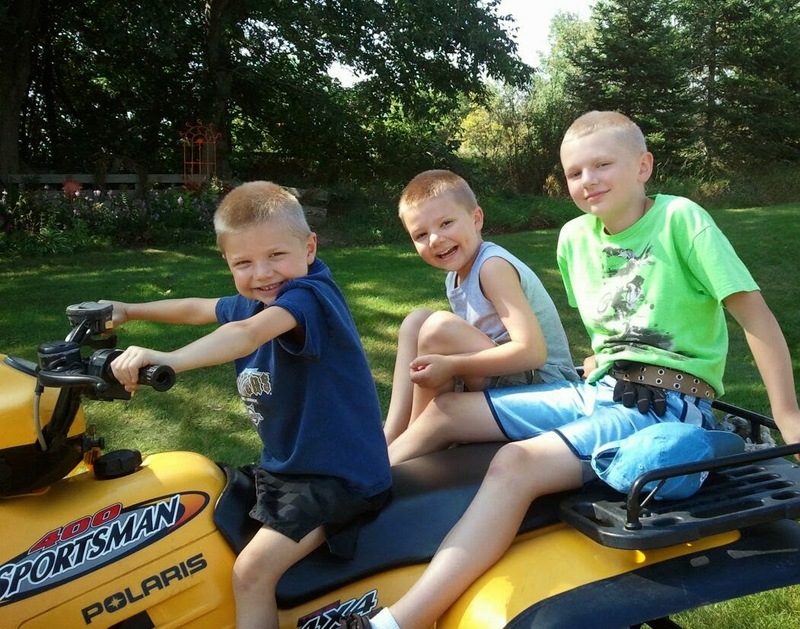 I picked him up and told him that I just felt like having a fun day with him and his brothers. Boy that sure made his day. I can't count all the times he said something like: "and everyone else is at school right now!" We arrived at noon, ate McDonald's for lunch (they were thrilled beyond measure) and were the ONLY patrons at the space exploratory for the whole day! What a treat to be all alone with 4 floors of science hands-on exhibits, and 4 boys who are totally into it! Afterwards we went to Culver's for ice cream. "Have anything you want" I said. They ate chocolate ice cream with nerds sprinkled on top. GROSS! It was their science experiment. They LOVED it.